What’s your stand-out product of the last year? With just a week left to go until nominations for our 2019 CiteAb Awards close, today we’re highlighting one of our favourite categories – the award for Innovative Product of the Year. This awards celebrates the reagents or instruments launched within the last year that are set to change the sector. Last year this was a very competitive category that has attracted entries from around the world. 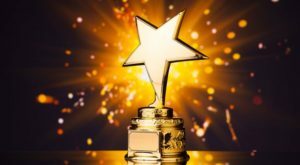 CiteAb product manager Alicia said: “If you’ve been working on a new product that is set to change the sector then this award gives you an opportunity to put the spotlight on it, and bring it to the attention of the global life science community. In 2018 this award was won by Diagenode for the company’s ‘Automated ChIPmentation’ – a unique technology that was launched in December 2017, and integrated automated chromatin immunoprecipitation and next generation sequencing library preparation within the same protocol, eliminating the traditional tedious steps, purifications, and inefficiencies that can result from standard ChIP-seq protocols. At the time, CiteAb founder Dr Andrew Chalmers said: “Diagenode’s Auto ChIPmentation has the potential to make ChIP-seq easier and much faster, making it more accessible to new researchers who may not be well-versed with it. In addition, because the method results in reduced material loss, smaller starting amounts can be used, enabling the use of ChIP-seq in a wider range of projects such as those using rare cell types. Does your company have a new product it would like to tell the world about? Make sure you enter our ‘Innovative Product of the Year’ category now to be in with a chance of putting your new product in the limelight. You can see all of the categories and enter the 2019 CiteAb Awards here. The closing date for nominations is midnight (GMT) Friday 15th February.